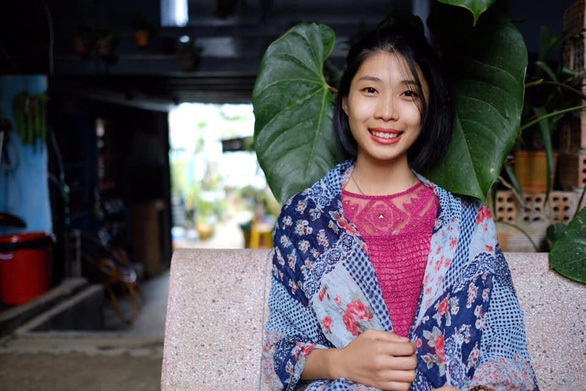 On the night of April 2, Pham Thi Hue, a 23-year-old whose positive attitude and unwavering perseverance in her fight against cancer served as an inspiration to countless Vietnamese, passed away after a seven-year battle with the deadly disease. Hue, hailing from the northern province of Thai Binh, was known to the public as an inspirational amateur actress who refused to let being an end-stage cancer patient affect her optimistic attitude toward life. She used to say she would live “a hundred years in a day” as long as she remained alive and, despite her illness, she truly lived up to that motto. 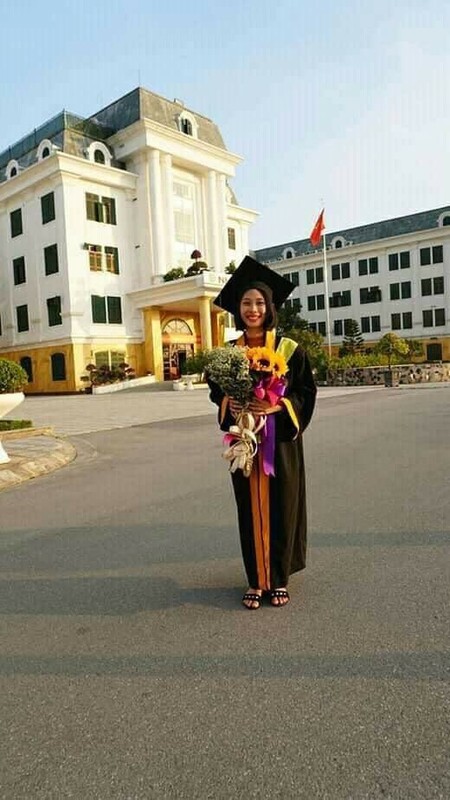 Despite being diagnosed with cancer at age 16, Hue graduated from high school and went on to earn an undergraduate degree at the Hanoi University of Agriculture, finishing her college career with top marks. Hue first became known to many throughout the country for playing Lien, also a cancer patient, in Memento Mori – Remember That You Will Die, a theatrical performance starring amateur actors and actresses suffering deadly diseases similar to those dogging the characters they played in order to help the audience better understand the illness and the suffering of each patient. Two months ago, Hue and her mother traveled from their hometown to Hanoi to visit the National Coordinating Center for Human Organ Transplantation in the Vietnam-German Hospital so that Hue could register as a donor. In her meeting at the center, Hue asked the staff which organs she could donate while listening to them explain different options, but “none of them fit her case,” said Dang Hoang Giang, a social activist who directed the Momento Mori play. In the end, Hue found that she would only be able to donate her corneas, the only parts of her body that were not affected by chemotherapy. The only thing left to do was decide who would contact the transplant center when “the time” came. Solemnly, they wrote in her mother’s name and phone number and were given an organ donor registration card with her photo printed on it. That was the last time the 23-year-old amateur actress saw Hanoi, the city in which she spent most of her youth. Hue passed away at home on the night of April 2, ending a six-year, 11-month battle with cancer. However, her dream of using her body to help others was unable to be realized. Upon her death she was diagnosed with hepatitis B, preventing her from donating corneas. “I will always remember Hue as a fighter,” Nguyen Huu Hoang, director of the eye bank at Central Eye Hospital in Hanoi, said, adding that she truly spent her life living up to her motto of “living a hundred years in a day." “The pain brought by cancer is even scarier than death, but once I die I will not know pain, sadness, or happiness. I just want to live,” Hue once told an audience in a sharing session after a play. As she neared the end, Hue began to struggle with simple tasks – sitting, lying down, or moving – but even then, she refused to let a smile flee from her face. In addition to Momento Mori, Hue participated in Hay nho, ban con song (Remember, You Are Still Alive), a documentary detailing her life. The documentary serves as a reminder that even though we may not be able to choose the circumstances of our lives, we do have a choice in how we face them. Hue decided that she would not let the fatal illness ruin the little time she had left and fully lived every second she had.